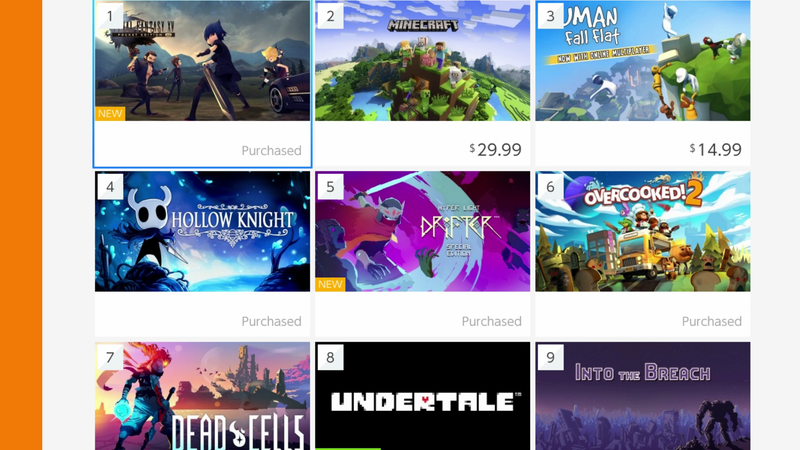 Games not made by Nintendo are dominating the Nintendo Switch’s latest eshop best-seller list. Games not made by Nintendo are dominating the Nintendo Switch’s latest eshop best-seller list. Even on the indie-stuffed Switch, there are usually one or two Nintendo games high on the list. Right now, the highest is Mario Kart 8 in the 14th spot. It helps that Nintendo has had few major releases of late.